hen you’re starting out as a screenwriter, it can be hard to know how to forge a path. There are lots of “experts” out there, but you want to get your information from the best screenwriting websites. That’s why we’ve compiled a list of the best twelve screenwriting websites so we can help you on your way to success. The Go Into The Story blog, run by Scott Myers, was named the “Best of the Best” screenwriting website by Writer’s Digest. It covers the business, art, and day-to-day struggles of being a writer. Screenplay sites don’t get better than Go Into the Story. Aside from the fact that Scott’s blog is award-winning, it’s also one we visit almost every day. He’s a one-stop-shop for interviews, advice, and the answering of any reader questions. Certainly one of the best screenwriting blogs. Scott’s access to A-list writers means you’re getting information from the top that trickles down. The best part of this site is that it all comes from a genuine place. Scott is a college professor, works with students daily, and cares about your success. When you move to Hollywood, you may already be a good storyteller, but you’ll have no idea how to navigate “the business.” Scott has an entire section dedicated to navigating the business. It seems like everyone has advice on Hollywood, but who can you trust? John August is one of Hollywood’s best screenwriters. He was nominated for an Oscar for Big Fish, and is constantly working on large studio films like Aladdin, Charlie and the Chocolate Factory, and Charlie’s Angels. The John August blog has become a place people go to for screenwriting news and advice from someone doing it every day. Let John teach you how to become a screenwriter. John and fellow writer, Craig Mazin, have a weekly podcast where they discuss “screenwriting and things that may be interesting to screenwriters.” It’s super popular on iTunes and incredibly useful. Let John and Craig teach you how to become a screenwriter. Inspiration is half the battle when writing, but what if you hit writer’s block and just can’t move forward? StudioBinder’s blog is centered around helping emerging and experienced filmmakers achieve their dreams, but StudioBinder’s platform is where you can shine. StudioBinder can not only help inspire your screenplay, but it can also help out with production. After you’re done writing your masterpiece, you can upload the script into StudioBinder. You can check the formatting of your script, and even help the production out by teaming up with the Assistant Director to tag each of your story elements. ​​​​Check out StudioBinder's Script Breakdown software! When you’re done tagging, or ready to write your next project, the blog is full of helpful tools. There are tips on creating the best inciting incidents, Dan Harmon’s Story Circle, and even tips on how to write movie dialogue. It’s all in one place. If you’re going to write scripts for a profession, you better get used to reading them. But professional scripts can be hard to find. The IMSDB is a vast database to find old and new work for you to peruse. The website has new, old, and classic scripts for you to dissect and study. Life is a never-ending journey of learning. And this website’s giant inventory of scripts is a treasure trove for new and experienced writers. You can learn about character development and how to create solid story structure just by reading. There are new scripts added every day, so chances are, what you’re looking for is inside. The best screenwriting website for real advice from a reader. From the website, The Black List is “...a closed network that connects script buyers, representatives, and writers all in one place.” You can upload your script for a fee, and then have users and readers rate it on a scale of 1-10. It’s a way to break in for the digital era. The top screenwriting website for coverage services. The Black List reappropriated the term from the 1950s McCarthy era and has since become a place where industry execs vote on their favorite projects of the year. Since then it’s expanded to an online database where users can submit their scripts for coverage and be ranked amongst competitors. There’s a lot of contests and places to submit your scripts out there. This one gives you access to managers, agents, and producers in Hollywood, even if there is a fee. Every year when Managers, Agents, and Producers pick their favorite scripts, the Black List releases a list with their titles and loglines. That alone is worth a visit. The lists are all archived and easily accessible. One thing that’s nice about the internet is that it’s led to the democratization of the arts. Anyone with wifi can look up information on how to do anything. 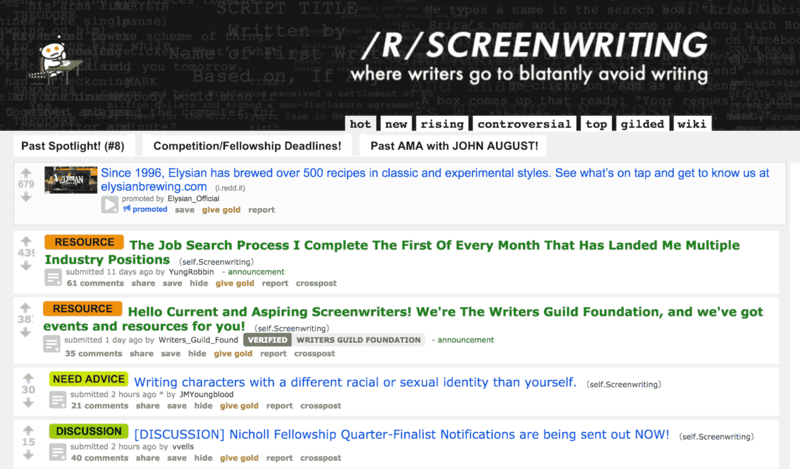 Reddit Screenwriting is a great place to ask questions, get answers, or find scripts you’re looking to read. Make friends and join the community. Reddit is a great spot to network. There’s always new posts to read, informative AMAs, and lots of resources. That’s what makes this the best screenwriting website. Reddit screenwriting is different every day, so it varies. Sometimes it’s just a place to discuss the problems you have in Act II and other times it’s where you can find that rare bit of advice that cinches up your climax. There’s always helpful links to articles. It’s like having a personal curator for the internet. One of the top posts today is about Five Famous Screenplays Hollywood Rejected. 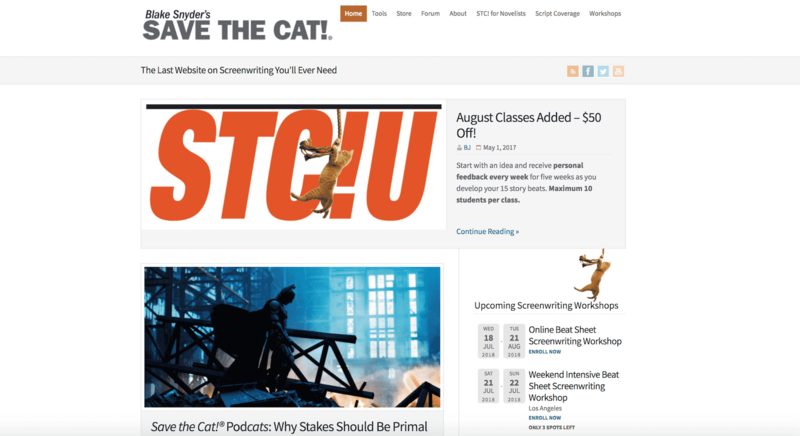 Founded by late screenwriter, Blake Snyder, Save The Cat has become synonymous with a breakdown of film and television scripts. The website offers breakdowns of the latest releases and constantly updates with advice from writers, executives, and even the occasional podcast. The real immediate value here are the beat sheets. If you’re starting to write in a particular genre it’s imperative that you spend time studying the some of the selections that genre has to offer. And some of the worst. Save The Cat has beat sheets for you to see how plot is mapped by A-list writers and a template to help you break down your own ideas into cohesive stories. The website uses these breakdowns to help you think about your own ideas. Use them as a jumping-off point and a way to subvert expectations and keep things fresh. Want to sell your script? Chances are you’ll have to get it past this guy. 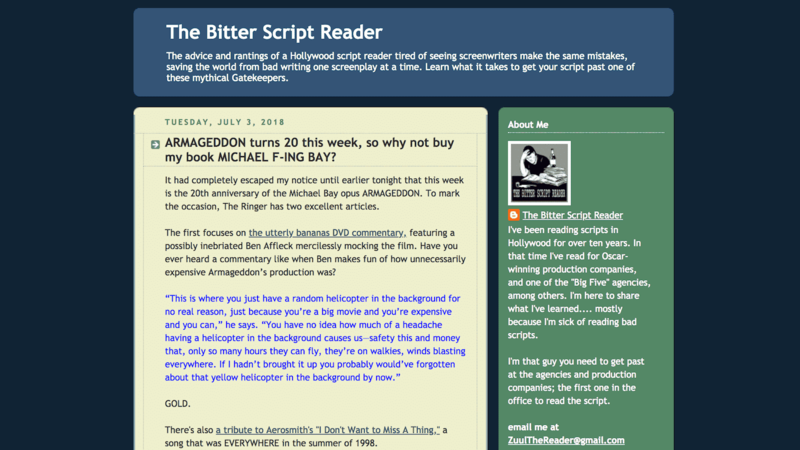 The Bitter Script Reader is the gatekeeper of this screenwriter website. For those looking to break into the business as a screenwriter, your script first has to get passed up the ladder. At some point, a “reader” is going to get the script to determine the quality. It can’t just be good. It HAS TO be great. But most of the stuff these readers get sent are terrible. These readers can be...bitter…What makes this an important place to visit is his expertise, film and television breakdowns, and his spectacular book on Michael Bay. He’s not a genre snob. He doesn’t lean in any particular direction, he just wants there to be excellent writing. 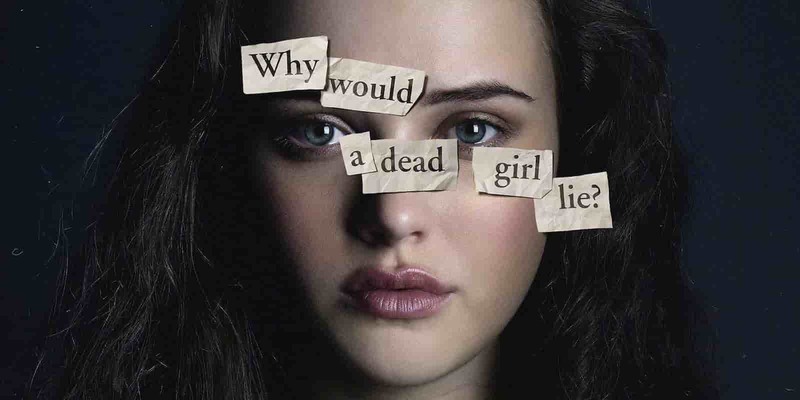 Bitter Script recently broke down 13 Reasons Why and followed one character’s arc throughout the show, but based on the five stages of grief. It’s a great read as a fan of the show but also for a writer to learn and understand how those arcs get spread over an entire season and how they play out through the character archetypes. This is the place to go for inspiration and dissection. 13 Reasons Why you should read the best screenwriting websites. When you finally break in and sell that script or get staffed, the Writer’s Guild is going to be your best friend. They’ll get you fair wages, healthcare, special invites, and even resources you need from project to project. The best screenwriting website for novices and pros alike. It seems self-explanatory, but being in the Guild is important. Writers are constantly getting the short end of the stick and it’s great to have an institution have your back. 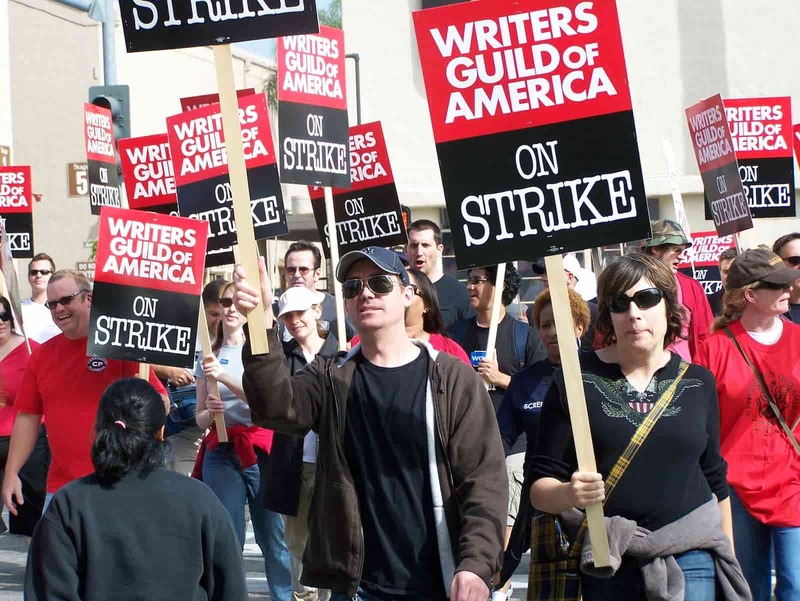 The Writer’s Strike of 2007 altered Film and Television as we know it. The WGA is a great place to meet peers, pick up tips, and grow within your profession. They also have pages and events dedicated to new scribes and helping them learn the craft. The site has many useful pages, but if you’re looking to get paid, the Minimum Basics Agreement is the spot for you. The WGA West even has their own magazine, Written By, that highlights achievements among guild members. Terry Rossio is the writer behind Small Soldiers, Shrek, Pirates of the Caribbean, The Lone Ranger, and many more projects. He’s known for his quick wit, action writing, and is in the top tier of working writers. His Wordplay Blog is the distillation of all of that content. The best screenwriting website for inspiration and breakdowns. 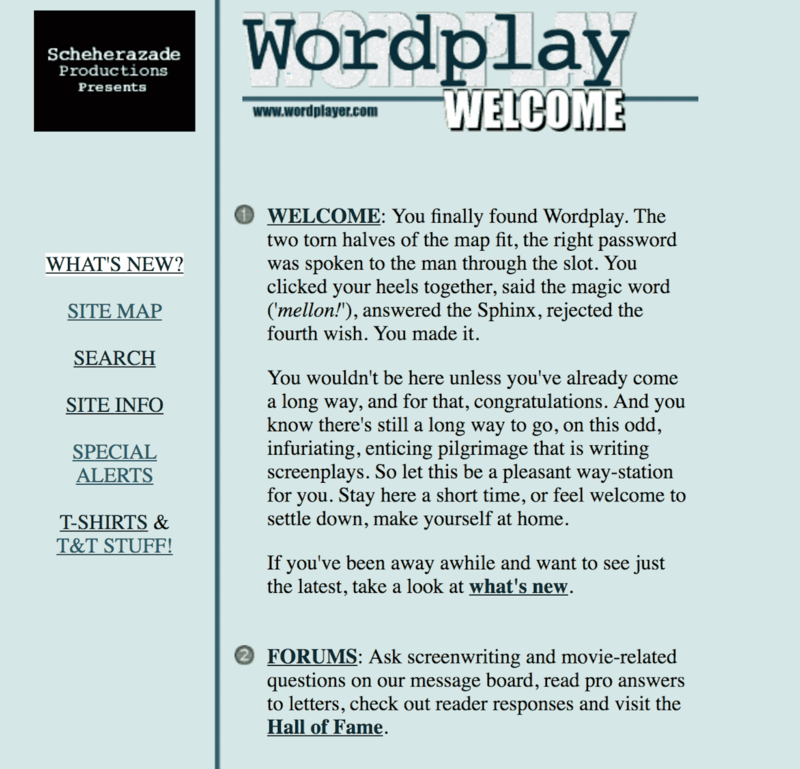 The Wordplay blog is an intimate portrait of what it takes to be one of Hollywood’s most successful screenwriters. Rossio answers questions, breaks down what it takes to sell scripts, and even a mathematical breakdown that shows how slim your chances are at success. I swear, it only sounds depressing. It’s pretty cool! Twitter? Yes, this is where most writers go to waste time, but it’s also a valuable networking site. Twitter is full of incredible film and television writers who frequently share advice or insider information. Aside from the plethora of noise on Twitter, there’s a lot of people using #screenwriting to be heard. Writing is often a solo endeavor. Even if you have a partner, it can feel like you’re both on an island, especially if you’re trying to break in. Twitter can help you join a community. There are thousands more as well! Yeah, I’m going to guess you’ve heard of this one. But Netflix is for more than just watching movies. It should be a go-to spot for research. See what’s being made and why. Stay current. According to Variety, Netflix is thinking of purchasing and making 700 projects in the next two years. That rivals most studios. If you want to write scripts that don’t sell, go for it. But digital streaming services like Netflix are going to be buying more and more content as time goes by. It’s important to keep up with what they’re releasing. Netflix offers a wide array of genres and stories. There are hour-long dramas. Half hour comedies. And stuff that lies in the weird tonal abyss of the in-between. No matter what, there are new releases every week. If you hate it, you can turn it off. But it’s important to try it out. Now that you’ve got the social networking and websites under your belt, it’s time to get writing. But maybe you’re still typing your scripts in Word? We recently broke down the seven best screenwriting software tools to help you get ahed.